Dr. Judy Lee is a specialist in Orthodontics and Dentofacial Orthopedics who is educated in the latest techniques in diagnosing and correcting problems associated with the misalignment of the teeth and jaws. She received her Doctor of Dental Surgery degree from the University of Missouri-Kansas City (UMKC) where she graduated with high honors and at the top 2% of her class. While in dental school, she received numerous awards including induction into a prestigious national dental scholastic honor society Omicron Kappa Upsilon (OKU). After graduating from dental school, Dr. Lee completed a residency program in Advanced Education in General Dentistry at UMKC where she expanded her knowledge and abilities in the different specialties of dentistry. With this, Dr. Lee is able to fully integrate all aspects of your treatment and discuss it thoroughly with you. She subsequently earned her specialty degree in Orthodontics and Dentofacial Orthopedics from Oregon Health & Sciences University (OHSU) where she also earned a Master of Science in Orthodontics. Her master’s thesis was focused on panoramic x-rays and her paper was published in the American Journal of Orthodontists. Dr. Lee is also a member of the American Association of Orthodontists, Pacific Coast Society of Orthodontists, American Dental Association, California Dental Association and the San Diego County Dental Society. 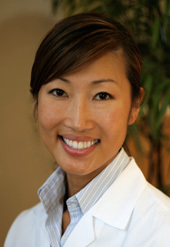 Dr. Lee’s family is no stranger to dentistry as her brothers also pursued careers in the dental field! She is thrilled to be a part of the San Diego community and is committed to creating beautiful smiles for children and adults all over the San Diego area!